It is very important to be able to rely on the sound legal advice of an experienced attorney in handling divorce and family law. Matters relating to family law can be emotional and painful; however, knowing that you have an experienced attorney can help alleviate some of this distress. 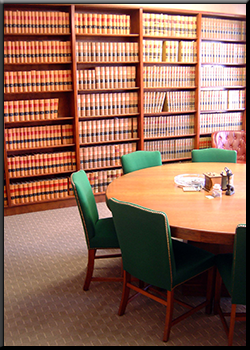 The quality legal representation of the law office of Frederick A. Costello, will help you get the results you desire by handling the legal burden associated with your issue. At the law office of Frederick A. Costello, we are experienced in handling all issues relating to family law. We can help with your divorce, legal separation, custody and visitation issues, and child support. We handle your legal matters relating to family law sensitively and promptly in an effort to expedite your legal concerns and to save you money by avoiding lengthy litigation. We have your best interests in mind and will always work to actualize the best possible outcome for you. Contact us to help you through your matter involving family law. Our compassion, dedication, and proven success in family law will help you settle your family affairs so you can get on with your life as you would like to and as you deserve to.